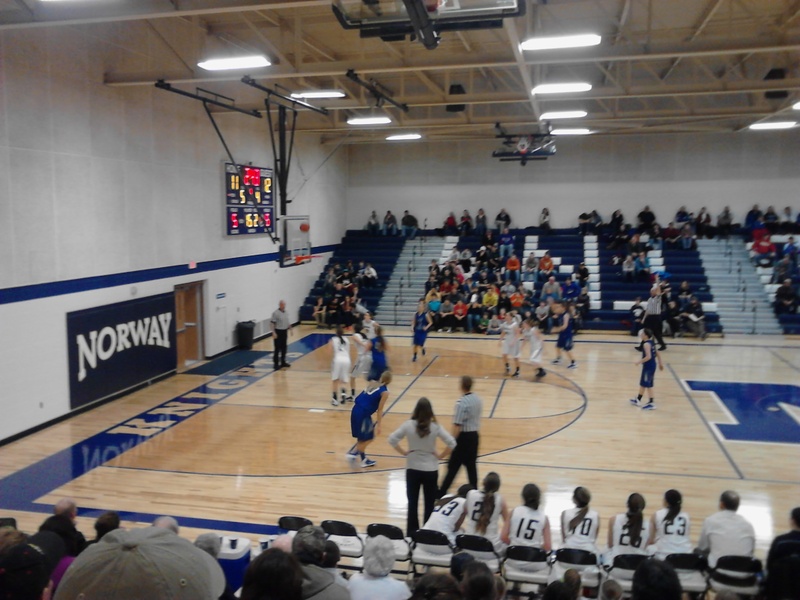 2/6/2014 Norway, Michigan — On tonight’s edition of Ishpeming Hematites Girls Basketball, the Ishpeming Hematites were in Norway, Michigan to bring you all the action on Real Classic Rock 98.3 WRUP. It was a great Thursday night for Basketball action in the U.P.! The Norway Knights were ready to take on the Ishpeming Hematites. Mike Plourde and Bob Nadeau, the voices of the Hematites, are always proud to bring you Hematite Basketball on 98.3 WRUP. The pregame began around 8pm on Real Classic Rock 98.3 WRUP. Mike Plourde and Bob Nadeau both ran down the stats and what was to be expected with this battle tonight from Norway, Michigan against the Norway Knights on Real Classic Rock 98.3 WRUP. Be sure to stay tuned on-air and online WRUP’s Facebook page for the latest updates all Thursday evening long. start of the game at about 8:15pm on Real Classic Rock 98.3 WRUP on this Thursday evening from Norway, Michigan. The Hematites were on the board first and led the Norway Knights in the first quarter 2-1. With 5:14 left to go in the first quarter, the Knights take the lead over the Hematites 11-6. The Norway Knights were playing tight man to man, according to Mike Plourde. The Ishpeming Hematites lead the Norway Knights at the end of the quarter, 17-13. Knights 27-23 on Real Classic Rock 98.3 WRUP. The halftime show brought you Bob Nadeau’s statistics from Norway, Michigan on Real Classic Rock 98.3 WRUP. 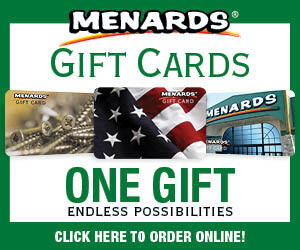 The third quarter begins from Norway, Michigan on Real Classic Rock 98.3 WRUP. 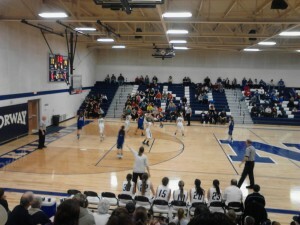 The Ishpeming Hematites have a lead of 34-25 in the third quarter from Norway, Michigan on 98.3 WRUP. With under 4 minutes to play in the third, the Hematites score 2 points and lead 36-25. The third quarter comes to an end with the Hematites in the lead, 38-27 over the Norway Knights. Let’s go Hematites! 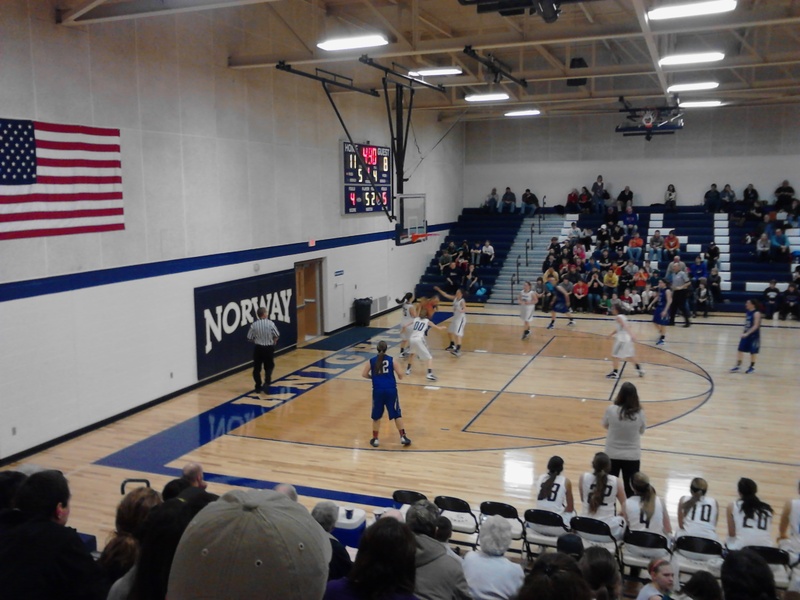 The Hematites lead the Knights 40-31 in the third quarter from Norway, Michigan on 98.3 WRUP. The Norway Knights took a time out with 2:02 left to go in the fourth quarter from Norway, Michigan. With only 2 minutes left to play, the scoreboard reads 43-33 with the Hematites in the lead over the Knights on Real Classic Rock 98.3 WRUP. The Hematites take the win and defeat the Knights 45-33! 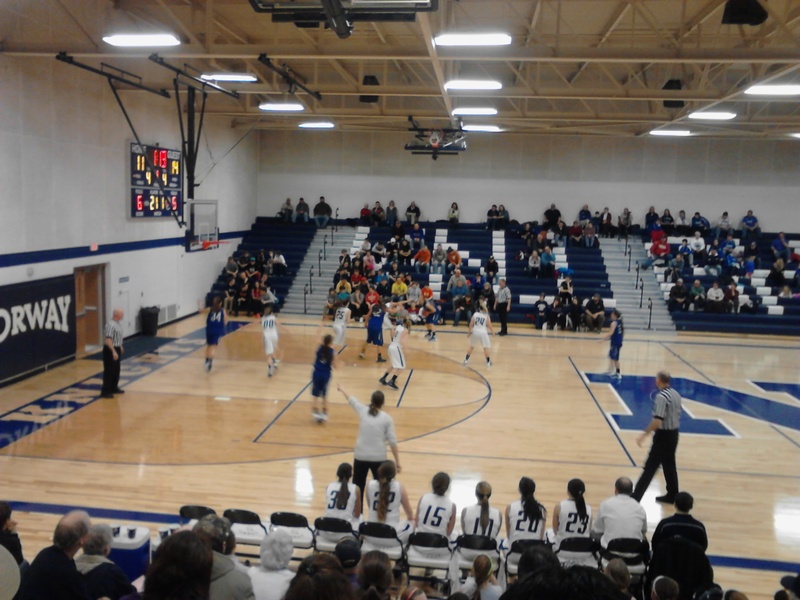 The Ishpeming Hematites defeat the Norway Knights 45-33 on Thursday, February 6th, 2014 on Real Classic Rock 98.3 WRUP. Join Mike Plourde and Bob Nadeau on Friday, February 7th as the Ishpeming Hematites Boys Basketball Team takes on the Negaunee Miners at home. Mike and Bob will have the pregame around 7:30pm on 98.3 WRUP.